Fall and winter are the perfect time to snuggle up with a good fantasy read, so here are a few recommendations to get you going! Sarah J Maas is excellent at writing these dark and addicting fantasy reads. This is a very loose retelling of Beauty and the Beast, and follows our main character Feyre who while hunting, kills a wolf that turns out to be a faerie. Her punishment for this is that she can either die or live out the rest of her mortal life in the faerie realm. Choosing to live, she moves in with a faerie who seems like a monster at first, but she realizes there may be more to him than she thought. A Court of Thorns and Roses is such a swoony book that will leave you wanting more and more. There are also two other books in this trilogy so you can binge the whole thing! I realized that I rarely recommend this trilogy on my blog, and that is because I haven’t read it in forever! I have decided to reread it though this month, so I thought I would recommend it since it is such a dark, cozy read. Clockwork Angel takes place in London, which screams fall with its dark, rainy days (usually). It follows Tessa, a girl from America who receives a letter from her brother telling her to come visit him in London so she does, only to discover it is a trap and is kidnapped. However, Will Herondale, a Shadowhunter, saves the day and brings her back to the institute where he lives. There we are introduced to more Shadowhunters, more action and adventure, and even a heart wrenching love triangle. This trilogy is amazing and if you haven’t read it, definitely check it out! This book is a perfect fall/winter read because it is definitely on the darker and peculiar side (haha). Miss Peregrine’s Home for Peculiar Children follows a boy named Jake, who visits his late grandfather’s home country of Wales after his mysterious death. There, he finds the gateway to an alternate time where he meets the peculiar group of children who grew up with Jake’s grandfather. I haven’t read this book in what feels like ages so I have the sudden urge to re read this one too as the days get darker! Another trilogy I haven’t read in ages and am dying to re read. Shatter Me follows a girl named Juliette who has been locked up for over a year because of her powers, alone, until a boy named Adam is brought in with her and breaks her out. I really enjoyed the Shatter Me trilogy, which is actually soon going to be a series! It was fast paced, fun but also on the darker side that makes it a perfect read for the fall/winter time. Those are a few recommendations for the fall/winter time and I hope you enjoyed. Don’t forget to check out my last blog post: NaNoWriMo Prep #2! Imagine this: curling up in bed with a hot steaming cup of coffee or tea with a stack of books at hand. Doesn’t this sound amazing? Well if it does, then definitely keep reading for a lot of bingeable recommendations! Obviously you have to read the Percy Jackson and the Olympians series before reading this one, but if you already have then you need to pick this series up. The Heroes of Olympus series follows a group of demigods who band together to defeat the all powerful, Gaia, or who is better known as Mother Earth. There are five books and they are The Lost Hero, The Son of Neptune, The Mark of Athena, The House of Hades and The Blood of Olympus. These books include a wonderful cast of characters and pages upon pages of epic quests and fight scenes. Yep, more Rick Riordan because his series are so much fun to read in a binge session. While Percy Jackson and the Olympians, and the Heroes of Olympus are influenced by Greek and Roman mythology, the Kane Chronicles is influenced by Egyptian mythology. It follows two siblings, Carter and Sadie, whose father disappears in a grand scheme to steal a valuable item from a museum. Later they learn that they are tied to the Egyptian world of gods and monsters, and that their father’s disappearance has to do with it. This series does not get a lot of credit for how good and fun it is, so when I see a chance I have to recommend it! Yes, yes, this isn’t a series but it is a fantastic duology that everyone needs to read. It twists around with the Arabian story of One Thousand and One Arabian Nights and it is filled with action, suspense and swoon worthy moments. I currently have not read the companion to the first book, which is the Rose and the Dagger, but I am getting it in the mail today so I will jump into it as soon as possible! This is a trilogy where you pick up the first book and then immediately after you finish you want to pick up the other two books. But wait…this trilogy isn’t going to be a trilogy for long because Tahereh Mafi announced that she is adding two more books to this addicting series! This means you have time to catch up. The first book follows a girl named Juliette who has been locked up in a cell for almost a year but eventually breaks out with the help of an unusual friend. She soon realizes her breakout was more than she assumed and suddenly her whole life is flipped upside down. Love, love, love these books and definitely recommend them! I know, this isn’t really a trilogy but while the books follow completely different characters with each book, they do intertwine eventually. The three books are Anna and the French Kiss, Lola and the Boy Next Door, and Isla and the Happily Ever After. This is a contemporary trilogy and each book is different so I won’t go into too much deal other than say that there are heart throbbing romances and heart shattering heart breaks! Those are all the bingeable series I have for you today and I hope you enjoyed. I enjoy doing this post so here is a beginner’s guide to dystopian books! Divergent by Veronica Roth – This is a no brainer because the Divergent trilogy is one of the most iconic dystopian books ever! I really loved the first book, Divergent, and while the other two weren’t my favourite, I still really recommend this series because it is unique and a great read! Divergent is about sixteen year old, Tris Prior who has to take an aptitude test that will determine where she belongs, but when the results are complicated she finds herself having to hide who she truly is. The Hunger Games by Suzanne Collins – Again, another famous dystopian series that you have to read if you haven’t already. The Hunger Games takes place in a world where every year, twenty-four kids are picked to fight to the death in payment for a war that happened many years ago. When Katniss Everdeen volunteers to fight in her sister’s place, she becomes the spark of a growing revolution. Shatter Me by Tahereh Mafi – Shatter Me is a fun and entertaining trilogy that is so poetic and heart wrenching. It follows a girl named Juliette who has been imprisoned for many years because she has strange powers, but when she is broken out she realizes she isn’t the only oddball in her world. There is lots of action and romance in this book trilogy and I totally recommend it! The Selection by Kiera Cass – This series is basically a mash up of The Bachelor and The Hunger Games and is honestly so awesome. The main character can get on your nerves but overall it is a thrilling and adorable read! The Selection follows America Singer who enters a competition for the Prince’s heart but things get complicated when she is in love with somebody else. Legend by Marie Lu – The first two books in this series are so flipping fantastic and you NEED to read this trilogy! Legend takes place in a futuristic California and follows our two main characters, June and Day. June is part of the army and Day is a convicted criminal, but when June sets out on a mission to hunt him down she realizes things aren’t the way she was taught they were. Those are my dystopian recommendations and I hope you enjoyed! Don’t forget to check out my last blog post: Intro to Journal Writing! I am a huge fan of so many series but I decided to pick my favourite from each genre so here are my all time favourites! BTW I do use some not as popular genres to fit in all of my favourites…I just had to add them all. 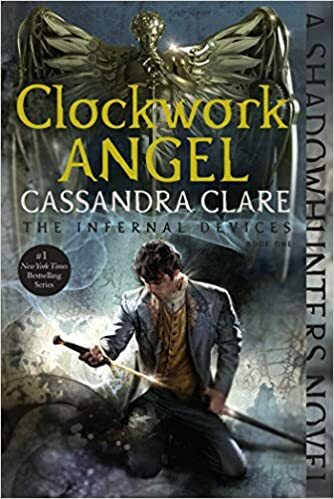 Fantasy: The Mortal Instruments by Cassandra Clare – I absolutely LOVE the Mortal Instruments series so much, therefore making Cassandra Clare my all time favourite fantasy author as well. I love her easy writing and how it just flows nicely together. She makes wicked characters and epic worlds and honestly, her books are just a gift to read. High Fantasy (yes): A Court of Thorns and Roses by Sarah J Maas – Yes, this is going to be separate from the regular ‘fantasy’ genre because Sarah J Maas is such freaking fantastic writer that I had to add in here. A Court of Thorns of Roses is by far one of my favourite reads of this year because it was magical, epic and just perfection. Sci-Fi: The Lunar Chronicles by Marissa Meyer – I don’t read much sci-fi but the Lunar Chronicles is definitely the way to go. 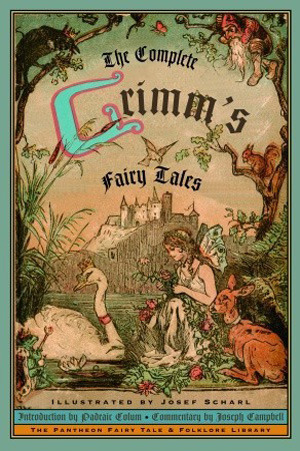 This series incorporates fairy tales, awesome characters and just overall an amazing story line. These books are so much fun to read and Marissa Meyer just has such a captivating writing style! Middle Grade: Harry Potter by JK Rowling – YES this is counting as middle grade because technically it is along with fantasy AND I wanted to add my other favourite middle grade series in here too. But yeah! I am obsessed with Harry Potter, obviously, because how could you not love this epic world that JK Rowling has created? Contemporary: Anna, Lola and Isla by Stephanie Perkins – Okay, so the titles of these books were waaay to long to put altogether but technically speaking this is a contemporary trilogy…I mean the stories all tie in together right? Anyways, I love all these books so much. They have awesome characters I relate to, they have Etienne and Cricket and they also just have cute scenes that make me all warm and fuzzy! I love the dystopian genre so here are a few recommendations for any of you looking for more dystopian books or if you are new to the genre! Shatter Me by Tahereh Mafi – This is a dystopian trilogy that is full of action and romance and is just amazing. Shatter Me is about a girl named Juliette who has been locked up for years because she has a curse that allows her to kill by touch. One day, a boy named Adam is thrown into the same cell as her and together they break out only to run into the arms of the government that locked her up. Highly recommend this book because it will make you love the dystopian genre even more. Divergent by Veronica Roth – I am sure most of you have read these books but if you haven’t you should! I loved the first book but that last two kind of let me down…you still have to read them though because of that ending. Divergent is about this world where people are separated into 5 factions: Dauntless, Erudite, Abnegation, Amity and Candor and it follows 16 year old, Beatrice Prior as she takes the test that determines what faction she is. If you haven’t read this trilogy I don’t know where you’ve been honestly. The Hunger Games by Suzanne Collins – I couldn’t make a dystopian recommendations post and not add this trilogy in because it is like the Queen of Dystopian. I really enjoyed the first two books of this trilogy and while the last book is kind of meh, I overall really like the story line and characters! The Hunger Games is about a girl named Katniss who lives in a world where 24 kids from the poorer districts are sent to the Capitol to compete in a match to the death. The books have a pretty gruesome idea but its very entertaining honestly. The Selection by Kiera Cass – I am not 100% sure this is a dystopian but I think it is so I am going to add it in here. The Selection is about America Singer, a girl who is picked for the Selection which is a competition to win Prince Maxon’s hand in marriage. The only thing is, she doesn’t want to run in this competition because her heart is elsewhere. I absolutely adore this series because it is so dramatic and amazing. The first 3 books are my favourite but the last 2 books switch characters and it kind of looses its interest for me…but still read them! And those are few dystopian recommendations for all of you and I hope you liked them! Cassandra Clare. She is my all time favourite author just because I love her writing style, her stories, and all her characters. Every book she has written I have loved, and I am so happy that she is coming out with more and more books. Her books have impacted me so much, and I fell in love with them from the first word! Rick Riordan. His Percy Jackson and the Olympians series was the first book series I read (that was over 100 pages) and loved. His writing got me obsessed with reading so I will always have a sentimental love towards his books. That, and his writing style is hilarious along with his characters. Again, I am obsessed with all his books and anything related to them. And I am so excited to finally be meeting him on his Hammer of Thor tour! Ugh, a dream come true!!! JK Rowling. Obviously I had to add her in here because her books are amazing! I love Harry Potter just because it is so detailed and wonderful and how could you not like it! I really wish she would write a series about the Harry’s parents and their life at Hogwarts because that would be AWESOME!!! Tahereh Mafi. Her writing is just so beautiful and she has a talent for making her characters feel so real. I absolutely adore her Shatter Me trilogy and cannot wait for her new book Futhermore to come out! Stephanie Perkins. I wanted to add a contemporary author and because I am obsessed with all of her books I thought I would put Stephanie Perkins! Her books are just so relatable and great and cute and ugh, I want all the relationships in them. Those are my top 5 favourite authors and I hope you liked this post! This book recommendations blog post will be a bit different then others because I will be recommending the books in a different way. This is inspired by Sasha Alsberg’s (abookutopia on YouTube) recommendation video “If you like this book then you’ll like this book.” Confusing? You’ll understand if you read the recommendations below! If you like Shatter Me by Tahereh Mafi then you will like Legend by Marie Lu. These two trilogies are both dystopian and have a similar feel to them, plus they are just amazing books and you will devour each and every one of them! If you like Fangirl by Rainbow Rowell then you will like Anna and the French Kiss by Stephanie Perkins. Again, these are the same genre (contemporary) but they are quite different yet there is a resemblance to the other. I love both these books so much and I know you all will too! If you like Throne of Glass by Sarah J Maas than you will like Six of Crows by Leigh Bardugo. These are both amazing fantasy books that will captivate you from the beginning! It takes me a bit to get into fantasy like this but once I did I could not put it down! If you like Twilight by Stephanie Meyer than you will LOVE Vampire Academy by Richelle Mead. I recently just finished the Vampire Academy series and it is amazing! And obviously if you like Twilight you will like Vampire Academy because they both have the same feel to them! If you like The 5th Wave by Rick Yancy you will like Obsidian by Jennifer L Armentrout. These are both sci fi books that I personally adore and everyone else who reads them seems to love them as well so…Read them!!! Those are a few recommendations and I hope you liked them! I was inspired to do a rainy day book recommendations because its raining…in June. Anyways these are some books I like to read during the rain and I hope you like them! Shatter Me by Tahereh Mafi is the first book in the amazing Shatter Me trilogy and I’m not exactly sure why this makes me think of a rainy day but it is just a fantastic book that you want to curl up with and not put down. If you didn’t know, Shatter Me follows a girl named Juliette who has a terrible but powerful power. She can kill with her touch. Because of this, she was locked away but when a mysterious person is tossed in her cell with her, they manage to bust out but she doesn’t realize how many people want to use her as a weapon until it’ too late. Eleanor and Park by Rainbow Rowell is a contemporary that gives you that warm and cozy feeling which you want to feel when it’s raining. Eleanor and Park is about a girl and a boy who unexpectedly fall for each other despite all the complications in their lives. It shows that you can be loved no matter your differences which is really beautiful. This book is just so cute and great and I totally recommend it! Harry Potter and the Philosopher’s Stone by JK Rowling is such a feel good book because for lots of people it brings back wonderful memories! If you haven’t read this series yet you really need to because its so good! If you don’t exactly know what this series is about it follows young Harry, an orphan, who uncovers the truth of who he really is, a wizard. A wizard with a powerful dark lord after him! That is my rainy day book recommendations post and I hope you enjoyed it! Shatter Me by Tahereh Mafi is another book that I read this year and absolutely fell in love with. It was really hard picking which book I liked the best and I realized I liked all her books equally so I decided to write down the first book in the series as my favourite. I really love this book just because we are introduced to the world and the characters and I feel like Tahereh Mafi did such a fabulous job of doing that. Shadow Kiss by Richelle Mead is the third book in the Vampire Academy and is so far my favourite of the series. For me it was a bit slow in the middle but I still wanted to keep reading and I just flew through the last 200 pages like they were nothing. I really, really enjoyed this book and just had to put it on my list. Me Before You by JoJo Moyes is the book I am currently reading at the moment but I just love it. I am 200 pages in and absolutely obsessed with it. If you haven’t read this book I highly advise you do because you won’t want it to end. Obsidian by Jennifer L Armentrout is the first book to the Lux series. This is definitely my favourite of the 5 books in her series because everything was light hearted and fun and I feel like the books drastically became more serious. I read this book in one sitting because I could not put it down and then when I finished I started it all over again. It was amazing! Those are my top 5 favourite books of the year so far and I hope you liked it! It can be difficult to find the ‘perfect’ book that just makes you want to keep reading forever but it isn’t impossible! Finding the perfect book can set you on a journey filled with books and reading which is an amazing thing. I like to think that everyone likes to read, but if they don’t it’s just because they haven’t found the right book to get them started. Which is why I made this post! Experiment. Maybe read a few chapters of a few books and get a feel for what genre you like. Some books I recommend for this stage is Percy Jackson and the Olympians: The Lightning Thief by Rick Riordan, Shatter Me by Tahereh Mafi and Vampire Academy by Richelle Mead. These are just some amazing books that are easy to get into and get you hooked on reading! Find the right place and time. Finding the right time and place to read is extremely important. For instance, I prefer and get most of my reading done at night because I am less distracted and can focus more on my book. The place I also prefer to read in is my bed or couch in my bedroom. All these things contribute to finding the perfect book. Read it. Now it is time to read the book! You have found a book to give a go, the perfect place, perfect time so now it is time to see if you like the book! Now, once you have read the book you decide whether or not you liked or disliked it, or maybe you just thought it was okay. If you didn’t love it, or at least really enjoy then repeat step 1 and pick another book! Don’t give up so easily, just keep trying to find the right book. Maybe even switch reading places or times. Just do whatever feels right. Hope you enjoyed this How To: Find the Perfect Book tutorial!